People with hearing loss are more likely to experience social isolation and depression as their hearing deteriorates. Not being able to understand speech leads to frustration which can turn into embarrassment, withdrawal from social situations and loneliness. These psychological effects can be easily avoided through correct assessment and diagnosis of the hearing problem by an Audiologist in conjunction with appropriate treatment options such as communication strategies, assistive listening devices, hearing aids, FM systems, etc. 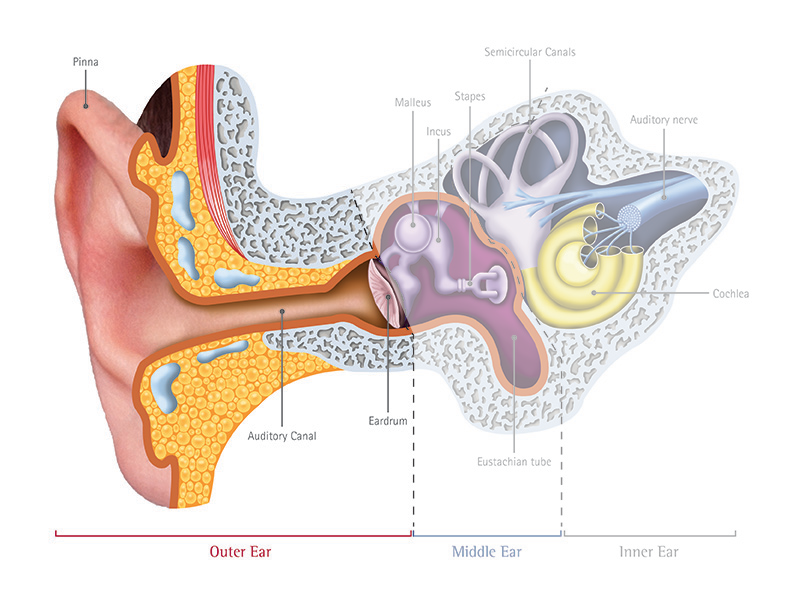 Sound waves enter the outer ear canal and gets transmitted through the ear canal to the middle ear where there are three tiny bones or ossicles which then transmits the sound vibrations to the inner ear. The cochlea lies within the inner ear and is a snail shaped organ that is filled with fluid and contains thousands of tiny hair cells. The vibrations travel through the cochlea causing the fluid to bend the hair cells. As the hair cells bend, the nerve impulses are passed through the auditory nerve to the brain where they are interpreted and analyzed as sound.